The United Methodist Church established 3,175 new places for new people to worship God during the past quadrennium. These global numbers are part of a new report in which the work of church planting throughout the entire United Methodist connection is detailed for the first time. The Worldwide Church Plant Update, which was presented to the Council of Bishop’s Congregational Vitality Team earlier this month, includes 684 new churches started by annual conferences in the United States (The Central Texas Conference began 8 and the South Central Jurisdiction contributed 146 new church starts), 574 new churches and cell groups initiated by Global Mission Initiatives and 1,917 new missions, churches, circuits and preaching points in the Central Conferences. “The report suggests that we are making huge strides in reaching new people with the gospel of Jesus Christ, and that is a marvelous thing,” said Karen Greenwaldt, General Secretary of the General Board of Discipleship (GBOD), which helps annual conferences plant churches within the United States through its New Church Starts (Path 1) division. “I think the report provides a positive word in the midst of ongoing concern about decline in the U.S. part of the church,” Secretary Greenwaldt said. Thomas Kemper, General Secretary of the General Board of Global Ministries (GBGM) which leads the Global Missions Initiative for the church, echoed the encouraging aspects of the report. The church plant update was compiled with data from GBOD’s Path 1, which surpassed the General Conference’s new church start development goal of 650 in the United States during the 2008-2012 quadrennium by 34 churches, GBGM’s Global Initiatives, which topped its four-year goal of 400 new churches by 174, and a survey of bishops in the Central Conference’s seven episcopal areas. Under the Global Initiatives, 346 churches or cell groups/sections were started in Southeast Asia, 157 in Africa, 60 in Latin America and 11 in Eurasia Central Asia and Baltics. Bishops from the Central Conferences reported 553 churches/missions planted in Africa Conference, 571 in Congo Conference, 131 in West Africa Conference, 620 in Philippines Conference, 16 in Central and Southern Europe Conference, nine in Germany Conference and 17 in Northern Europe Conference. “The significance of the report is that this is the first time we've ever collected new church start data from all around the whole United Methodist connection,” Greenwaldt said. “We have beginning numbers now that can tell us something about how we're doing, and we should celebrate that good news. “We have set goals for ourselves that we are going to start a number of new churches around the world, and we need to know whether we're making progress on the promises that we have made,” she said. 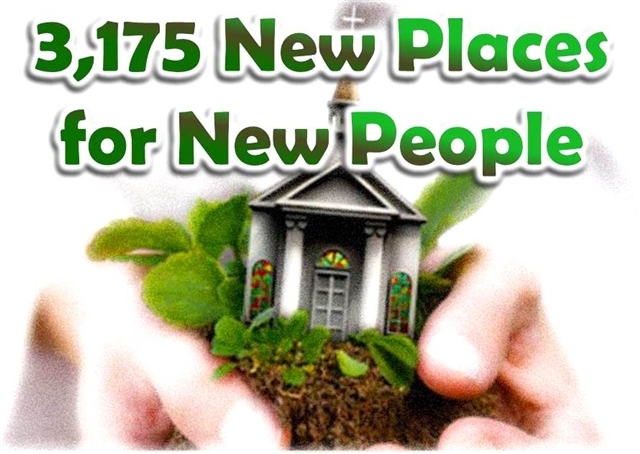 The specific types of new places for new people to worship vary from location to location – from traditional church buildings to cell groups meeting in homes. The initial worldwide update demonstrated the need to more clearly understand the definitions being used for new churches. “Next we need to develop more adequate definitions for what ‘new churches’ are in order to understand the strategies behind formation of preaching points, sections, house churches, community groups, etc.,” Greenwaldt said. “We need to sync and broaden our definitions and learn how the language that we are using around new church starts is the same, or not the same, across the regions of the world, which will make our reporting in the future even more reliable. We want to know how many of these are preaching points, how many are sections, how many are small groups or house churches and how many actually have church buildings,” she said. For example in the Philippines Conference, 601 new missions and 19 new churches were reported, including 192 by Bishop Rodolfo Alfonso Juan in the Manila Episcopal Area. Seeing data on the new places where new people worship helps United Methodists focus on “where we are successful and where we have bright spots,” Kemper said. He cited the 192 new church plants and 79 cell groups or sections formed through Mission Initiatives during the past quadrennium in Vietnam. 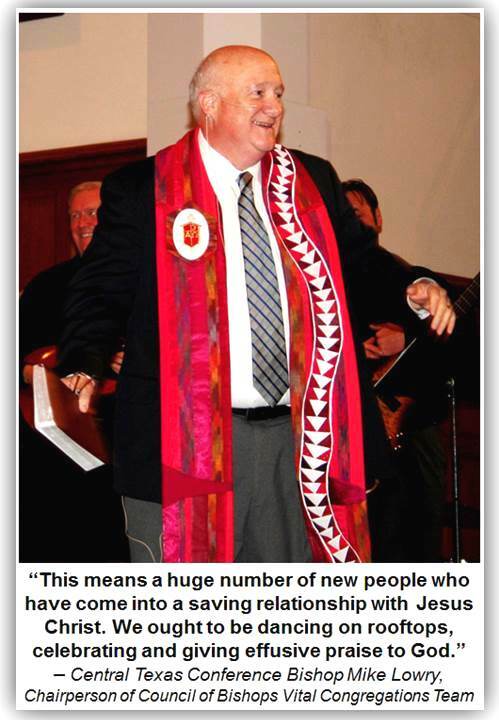 “The church in Vietnam is growing at a tremendous rate, but it is based on the experience of Vietnamese boat people who came here to the United States, found Christ and found the United Methodist Church, and then went back as missionaries to spread the gospel and to start United Methodist Churches in that country,” Kemper said. Kemper said United Methodist congregants in “a church, perhaps in California or somewhere else” received the boat people many years ago. “They may have thought that this is a very small thing that we are doing, receiving these people, giving them shelter after they had been fleeing from Vietnam at that time,” he said. “And suddenly out of this, years and years later something new is coming and new churches are being born. “I think it is revalidating the little things we do, the acts of service we do and how they can change the future of the church in some place we may not even know of and may never have thought of,” Kemper said.